The multi-tabling online poker wizard reflects on his poker journey and welcomes whatever comes next. 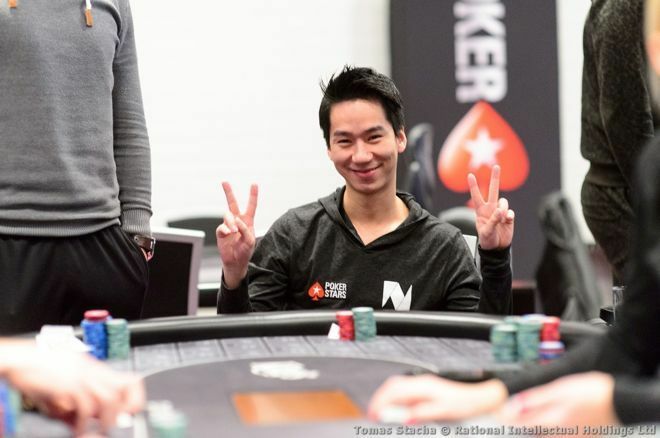 Randy Lew is the latest PokerStars Team Online Pro to announce his goodbyes to the online poker giant, taking the time to share some heartfelt reflection in the process. Lew transitioned from his gaming background into online poker where he made over $2.6 million and was best known for putting in insane volume, which he did through multi-tabling, playing up to 24 tables at once. But as Lew shared this week on Twitter, he wasn't always proud of his online poker prowess and he hid from the spotlight for many years. "Coming from a traditional Chinese background, I would say that poker as a profession in clearly taboo especially for a kid who just got graduated from university. Long story short, my parents never knew I played poker for about 10 years!" So he honed and hid his craft, motivated by his decision that he would only make poker his job if he could earn 3-4 times what he would be making on a "normal" salary. "Why? Because I wasn't proud of playing poker and I felt I needed to be extraordinary to be able to tell my parents and feel proud." Societal views of poker as a shameful activity affected Lew on a deep level, and he explains how his decision to become a sponsored pro was a major leap of faith in his poker path, which prior to that point had remained largely a secretive existence. Lew: "My parents never knew I played poker for about 10 years!" In December 2009, Lew became a sponsored PokerStars pro, suddenly thrusting himself into the spotlight which until then he had hidden from. the competition, and the freedom. I was incognito because I didn't want to be involved with the perceived 'degen' things such as prop-betting at every opportunity, spending lavishly on material things or simply put, treating money with no respect." So noko steered clear of making poker friends, sticking to the grind that gave him the freedom he wanted and separating himself from the rest. That is, until he accepted the PokerStars sponsorship. "It was a big step for me as it forced me to step into the limelight. Psychologically, not only can I bring in more stable income, it was an extra tick that I feel would allow me to open up to my parents about my life." It wasn't an easy move for Lew, but it was part and parcel of growing up. And eventually, he came to a more mature understanding of his relationship with the poker community, choosing to consciously avoid the negative aspects he saw in the environment. "I met good people and of course the love of my life! And I learned over time that I can choose who I want to be." "During this journey of nine years, I played over 13 million hands and won lots. I truly felt unstoppable; I felt stable. I eventually told my parents after I bought a house in California... and I felt relieved." But as it does for many who turn their passion into a profession, poker eventually become more of a grind than it felt in the early years. "My drive for poker did decline as time went on as it usually does for most people. I still love poker and consider it my profession but there wasn't an itch that I need to grind day in and day out. Probably why I didn't put as much thought into the whole SNE debacle when that developed." Lew's declining motivation to multi-table daily coincided with PokerStars taking away the SuperNova Elite status which Lew had earned an impressive six times between 2007 and 2013, and he didn't concern himself too much with it, as he put it: "Just sort of followed the line as I was content and not focused on purely playing as much simply because I didn't really need to." He shared also that he tried out streaming on Twitch but it wasn't for him, while tipping his cap to all those streamers who pull it off. With that, Lew bid farewell to the company that helped contribute to his personal stability and security in who he is. "I'm ready to step into the unknown and do what I want to do. I will play poker when I want to play poker." "PokerStars has done many great things growing the poker space. I thank them for my time there as I stepped into the limelight for the very first time." He continued: "Now it's time to grow up and take that leap of faith again. Now is the time to feel free. I'm ready to step into the unknown and do what I want to do. I will play poker when I want to play poker. I will be nanonoko." You can read his entire reflection on Twitter, which he posted in two parts, here and here. In other PokerStars ambassador news, the U.K.'s Jake Cody and Poker Hall of Famer Barry Greenstein are no longer listed among the roster of PokerStars team pros. These moves seem consistent with PokerStars' shifting ambassador strategy from established pros and popular streamers to more new faces and rising stars in the game. 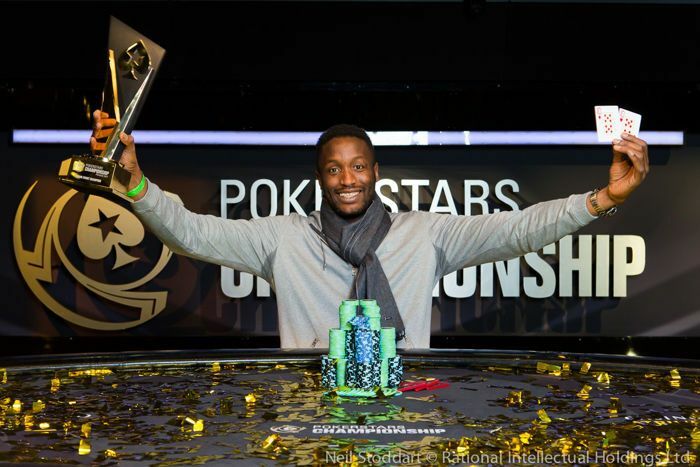 Speaking of that shift, it was announced today that Kalidou Sow has become the newest member of Team PokerStars. The French live poker pro seems a worthy candidate to rep the Stars brand considering his impressive feat of taking down PokerStars-branded events in back-to-back months; Sow won the €5,300 PokerStars Championship Prague Main Event in December 2017 before he took down the £900 PokerStars Festival London Main Event in January 2018, for combined winnings of nearly $1 million. Kalidou Sow has a good track record in PokerStars-branded live events and will now be playing more of them. In an interview with PokerNews France, Sow shared a bit more about his rise in poker and his new sponsorship, which he takes much pride in. "I have worked less technique than others but I observe, I look at all the details. I am a self-taught poker player, so the progression has been made over time." Self-taught and always wanting more, Sow is motivated to become the best in the game. Sow: "I am never satisfied and I always want more... I have long teeth, I'm still hungry." "It may be [a utopian idea] but I aim for the first place. I want to be Number One so I have to progress. The margin for improvement is huge but I want to try to win everywhere. I feel able, I am a competitor, I am determined and I give myself the means. "At home there was no tradition of the game, I do not come from a family of players, it was a little frowned upon so I'm happy to be able to show that it is a job and that it is not not by chance." Having moved to London just over a year ago to focus on poker, Sow sees joining Team PokerStars as another step in his progression, another step in becoming the best. "I am never satisfied and I always want more... I have long teeth, I'm still hungry."